No Matter the Topic, it's All About Boog: Marriage: How do you do it? Seriously? "How do you maintain a healthy marriage when you have a special needs child?" I have been married to Boog's Daddy for over ten years now. Boog was officially diagnosed at two, but I started to worry at 12 months. That means that half of our marriage has been a marriage with a special needs child. Yes, we love each other very much. Yes, he is still my best friend. Yes, it's almost crumbled multiple times. There is no magic answer to how to make it work. I wish there was. All I can do is be honest about our struggles and give real life answers. 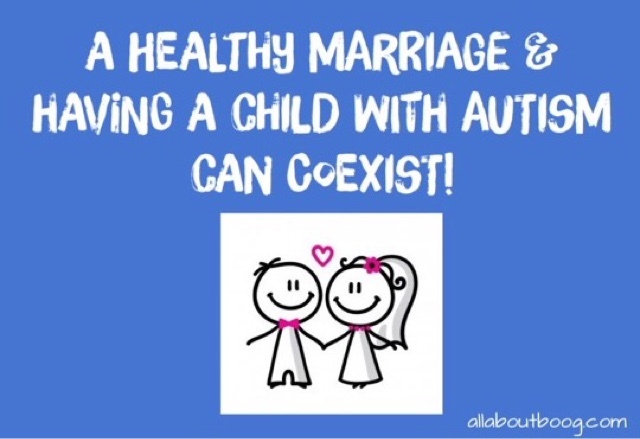 Every marriage is different just like every child with Autism is different. You can't apply the same things to every one. There is no "one size fits all" for either subject. I know that's not very much help, but give me a minute. I have had a diagnosed child with Autism for over four years now. I feel very blessed that I now get the opportunity to meet parents, usually mothers, that have a newly diagnosed child and speak with them about how they feel. I so wish I had someone to speak to those years ago, but if I can use that to help someone then it wasn't for nothing. I recently spoke with a wonderful mother who's child was diagnosed with Autism a few days before we spoke. I believe in 100% privacy! so we will call her Sally (not her real name) and her son Tyler (not his real name). Sally was terrified and so very sad. Tyler is verbal and has high functioning Autism. We talked about many subjects, and I will tell you about those I found most important for people to know. Me: "What's wrong? Why are you apologizing to me?" Sally: "Because here I am. I'm dumping this on you and asking for help when your son is worse than mine." ***This stung me quite a bit, but I knew she meant absolutely no harm. I never let her know it bothered me at all because she is in the very beginning of this long battle. I don't expect a new soldier to be aware of what they feel, much less what other parents feel. Me: "The feelings you have are valid. It has nothing to do with where our children are on the spectrum. They're on it and that comes with the same emotions. You don't feel any less devastated than I did, so put that guilt out of your head. Right now you are beginning the stages of grief. I highly recommend you look up the stages and how they can come in any order, and some stages repeat. You haven't lost a child physically, but you have lost a dream child. While we're growing that sweet baby in our belly we dream the same things. We want our child to be healthy and happy, obviously, but we also dream about who they might be, thoughts like "This child may be a doctor or a lawyer! He might go to Harvard! He might change the world!" Now that he's been diagnosed you realize those dreams may not be possible and it's heartbreaking. That's the grief. You didn't lose a child, you lost the dreams you had for him and it hurts terribly. Eventually you accept this, and you make new hopes for him. Smaller hopes like "He will know he is loved. He will make friends. He will be independent. He will do things others may think he can't do". That will happen, but it takes a lot of time. Right now just realize what you're feeling is exactly how you're supposed to feel". Sally: " My husband doesn't understand. He won't talk to me. I get so angry because it's like he doesn't care!" Me: "Men and women process things very differently. We are visibly upset and want to talk about it until we can find the next step or make a plan. Your husband is your family's protector. He feels his most important duty is to make sure your family is safe. If something goes wrong, he fixes it. Men are fixers and he just found out something very painful has happened and he can't fix it. He feels completely helpless. He may even feel guilty for not being able to protect his son." Sally hadn't thought of it that way at the beginning and the only reason I know now is from years of struggling to understand why I wanted to cry and talk about every single aspect of my son's diagnosis and read every article while my husband couldn't bare to speak of it much for a long time. His pain was no less than mine, it just looks a lot different. It looks like it's not there. 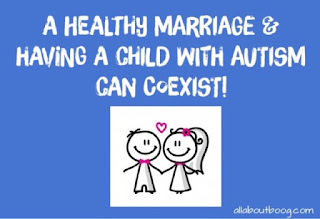 "Let's face it, autism takes a toll on our marriages. But it is not the death sentence we have falsely been led to believe. This presentation will discuss how the six cycles of grief impact marriages, and how to come through the bad days with a stronger union". 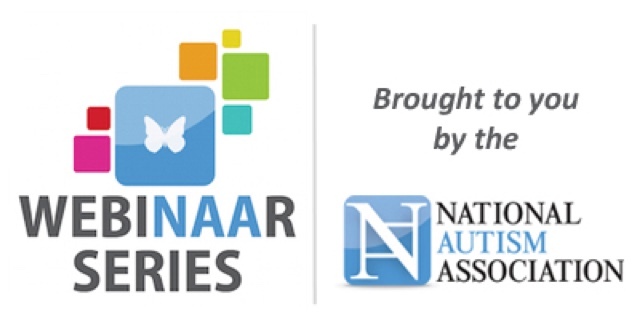 "The topics discussed in this presentation are not commonly covered in autism conferences. It is recommended for parents, both married and single. It is also recommended for individuals who are seeking a different perspective on how to overcome the toll autism has placed on their marriage and relationships. Traditional counselors are not equipped to address the unique issues that arise after a child has been diagnosed. The strategies discussed in this presentation will be sure to put a smile on the face of all who attend as they find the tools to “balance” after the diagnosis." I put that part in bold because many married couples go to counseling and most of the time the counselor knows very little about Autism, which is not necessarily their fault. For them, It's sort of like trying to fix a giant hole in a boat with only a little rag. difficult thing to deal with after your child has been diagnosed. Hurry because it's only open to 500 listeners.